There are many health benefits by eating guava fruit. Unfortunately majority of people are less knowledge of the fruit benefits. They only consume fruits to feel the taste not for health benefits. Some of the shocking health benefits are listed below. Guava is one of the important fruit which can be used to abundant cancer with special reference to breast cancers of females. Guava is very supportive fruit for people who are depressing about the weight gain. It has proteins, vitamins and fiber. Further it has no cholesterol and a low number of digestible carbohydrates. It is very filling snack and satisfies the appetite very easily. Therefore it helps to lose weight. 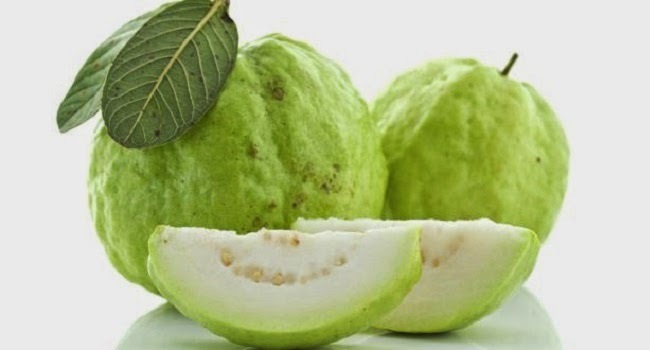 Guava can also help to regulate the absorption of sugar of the body. Therefore this will help the patients who suffer from diabetes. Further guava will provide positive benefits since it is presence with B3 & B6 benefits. So this can increase blood flow and stimulates cognitive function. B6 is a great nutrient for brain and nerve function. Therefore, consumption of guava can help you boost and sharpen you focus. Guava contains greater percentage of vitamin C than oranges, about four times than oranges. Having a higher concentration of vitamin C, it is useful in the treatment of bleeding and swollen gums.